Our range of economy boardroom tables has been carefully selected to ensure the highest levels of quality and design whilst ensuring best possible prices, so you can get the boardroom table you like at a price your wallet will like. 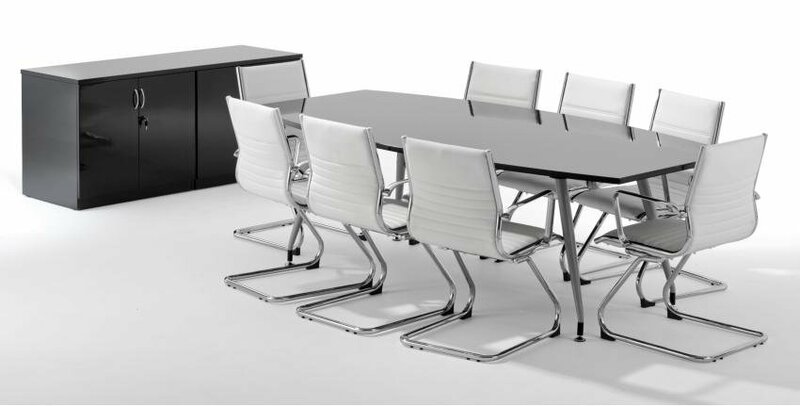 Unlike many of our competitors we believe that keeping the cost of a boardroom table to the minimum shouldn't mean that you have to settle for poor quality or possible even worse a poorly designed table. We work with partner factories across the globe to bring you the best deals on economy boardroom tables. Many of our economy boardroom tables are modular in their design so they can be configured to meet your requirements, this enables much more flexibility, for instance if you haven't got enough room to set aside a whole room as a boardroom, by using modular tables you can move the room around to meet your needs. To complement our comprehensive range of economy boardroom tables we offer a free design and space planning service, our in house team can provide detailed visuals to enable you to maximise your space, contact us today for more information or browse our range.